Alamosa, Colorado. 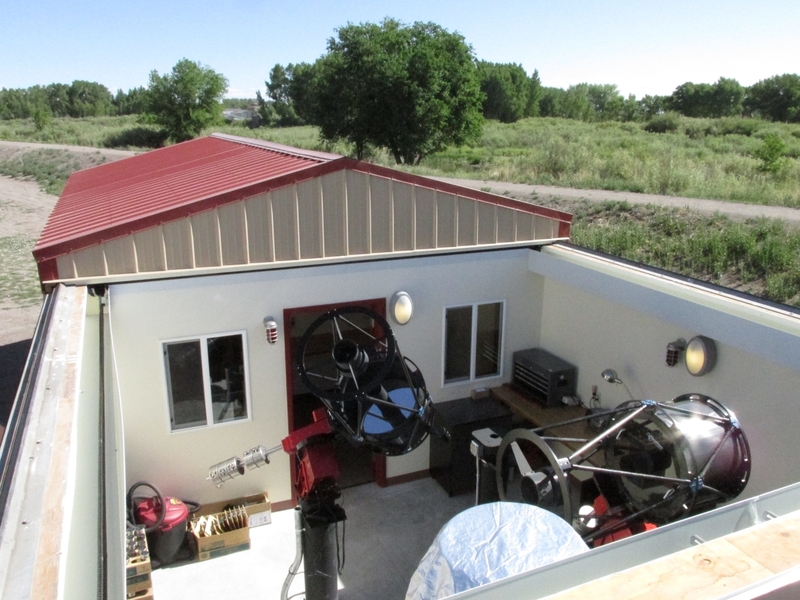 August 30, 2014 – The new Adams State University Observatory is now ready for the public. The official public Grand Opening will be from 8 p.m. until 11 p.m. Saturday, September 6, and from 7:30 p.m. until 10:30 p.m. Saturday, September 13. Dr. Robert Astalos, associate professor of physics and director of the Zacheis Planetarium and ASU Observatory, said there are two grand opening dates to reduce crowding and provide everyone an opportunity to view the night sky through the large telescopes. He also asks that if you don’t have small children, to plan to attend later in the evening as a way to further reduce crowding in the small observatory. On September 6, the Moon will be out and will be the primary target for the telescopes. The evening of September 13 will be moonless, and participants will look at other objects, such as double stars, star clusters, nebulae, etc. According to Astalos, the observatory will also be open to the public on October 18, moonless and November 1, Moon viewing. “If you can’t attend the grand opening evenings, you can plan on seeing the new observatory one of those nights,” said Astalos. Each night will include tours of the new facility, with explanations of how the equipment works and how it will be used, along with the opportunity to look through a variety of telescopes. “We will also be taking suggestions for names for our two large research telescopes,” Astalos added. The new observatory is located at the north end of Adams State University campus, behind the baseball and softball fields, right next to the river. There is no parking at the observatory. Visitors can park on the west side of Stadium Drive or in the parking lot at the south end of the soccer field, and then walk to the observatory. Look for the red sidewalk lights next to the 1st base line batting cages for guides.